The government drafts in senior officials to support the Commonwealth amid concerns over the way it is being run, the BBC learns. A shadow minister quits after being told to back the new Article 50 bill, hours after it is introduced. 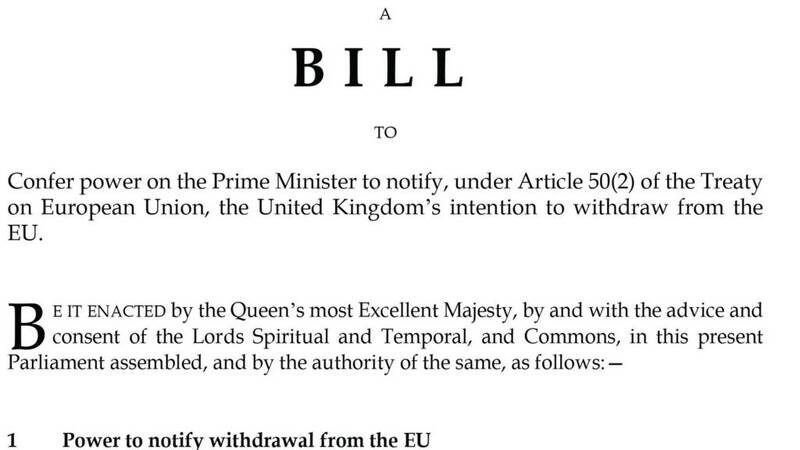 Labour has tabled a number of amendments to the Article 50 bill, which will kickstart the UK's exit from the EU. Jeremy Corbyn has ordered his MPs to back the European Union (Notification of Withdrawal) Bill, but says the amendments aim to prevent Britain becoming a "bargain basement tax haven off the coast of Europe". Labour says it also aims "to improve the process" and ensure Parliament "is able to hold the government to account throughout the Brexit negotiations". The amendments include: ensuring the Commons has the first say on any proposed deal, protection for workers' rights, full tariff and free access to the single market, guaranteed legal rights for EU nationals living in the UK, and a requirement for Brexit Secretary David Davis to report to the House every two months on progress during Brexit negotiations. Labour's shadow Brexit secretary Keir Starmer says the amendments "will significantly improve" the government’s bill. “The Article 50 bill will be the start, not the end of the Brexit process and Labour will hold the government to account all the way," he said. Labour leader Jeremy Corbyn urges his MPs not to "block" the Brexit bill when it goes before the Commons. Labour shadow business secretary Clive Lewis says he will vote for the Article 50 bill that will trigger the UK's exit from the EU. Quote Message: I have been clear throughout that I respect the result of the referendum and will, therefore, join my colleagues in voting for the bill on its second reading. However, Theresa May does not have a mandate to dictate the terms of Brexit without listening to the British people. The whole country should be involved in determining our shared future, which is why Labour has fought for the British people to have a say, through Parliament. Labour will seek to amend the bill to prevent the government using Brexit to trash our rights, public services, jobs and living standards while cutting taxes for the wealthiest." I have been clear throughout that I respect the result of the referendum and will, therefore, join my colleagues in voting for the bill on its second reading. However, Theresa May does not have a mandate to dictate the terms of Brexit without listening to the British people. The whole country should be involved in determining our shared future, which is why Labour has fought for the British people to have a say, through Parliament. Labour will seek to amend the bill to prevent the government using Brexit to trash our rights, public services, jobs and living standards while cutting taxes for the wealthiest." Labour MPs "are in something of a dilemma" over whether to back Jeremy Corbyn and vote for Article 50 - or go against the three-line whip he has imposed, BBC chief political correspondent Vicki Young has said. The Labour leader urged his party to "unite around the important issues of jobs, economy, security, rights, justice". Quote Message: And I'm asking all of our MPs not to block Article 50 but to make sure it goes through next week." And I'm asking all of our MPs not to block Article 50 but to make sure it goes through next week." 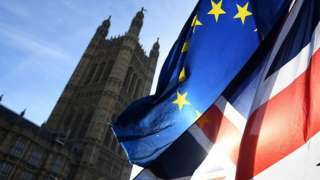 Green Party of England and Wales co-leader Caroline Lucas has appealed to Labour MPs to join her in voting against the "premature triggering" of Article 50 - which kickstarts the UK's exit from the EU. She has also tabled a further amendment, alongside Labour's Geraint Davies, the SNP's Stephen Gethins and SDLP's Mark Durkan, seeking to prevent a further reading of the bill, which will reject it altogether. Quote Message: I urge Labour MPs to join me in voting against the premature triggering of Article 50. Many of the things that progressive politicians hold dear are at risk. If we’re serious about opposing an extreme Brexit then we can’t just wave through Article 50. Indeed the Labour Party leadership should be giving MPs the chance to make their own principled choice on one of the most important decisions of the UK's recent history. " I urge Labour MPs to join me in voting against the premature triggering of Article 50. Many of the things that progressive politicians hold dear are at risk. If we’re serious about opposing an extreme Brexit then we can’t just wave through Article 50. Indeed the Labour Party leadership should be giving MPs the chance to make their own principled choice on one of the most important decisions of the UK's recent history. " A university has launched a Centre for Brexit Studies alongside a wishlist of things the West Midlands needs to get from the government in order to make a success of leaving the EU. Birmingham City University (BCU) hopes the new centre will promote engagement between Leave and Remain standpoints, while providing collaborative opportunities for businesses and professional groups. The report meanwhile makes three key points. It claims more investment is needed in infrastructure, such as expanding broadband services, and to close the skills gap so there are enough people to fill roles in the high-tech manufacturing sector, which is still struggling to recruit people. Another area for improvement, it says, is transport - tackling a bottleneck slowing down how products fashioned in the West Midlands get to their destination. Professor Alex de Ruyter heads up the Centre for Brexit Studies and said the way the UK measured its economy needed to change because the West Midlands currently is "overlooked" for investment. 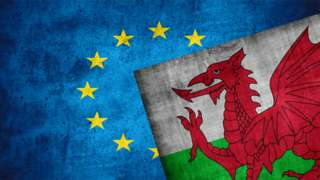 The interests of Wales will be reflected, the Brexit secretary says, as the bill to trigger Article 50 is published. Donald Trump says no more detainees should be released from the Guantanamo Bay detention centre in Cuba.Image caption: Donald Trump says no more detainees should be released from the Guantanamo Bay detention centre in Cuba. The UK prime minister must not to shy away from raising human rights issues with US President Donald Trump, Amnesty International has warned. Quote Message: During her meeting in Washington, Theresa May must not flinch from telling the president some basic truths about the complete unacceptability of authorising a return to the use of waterboarding and other torture, or indeed of keeping Guantanamo open. While trade and security are likely to be top of her agenda in Washington, Mrs May shouldn't shy away from the human rights issues that are already looming large in the first week of the Trump presidency." During her meeting in Washington, Theresa May must not flinch from telling the president some basic truths about the complete unacceptability of authorising a return to the use of waterboarding and other torture, or indeed of keeping Guantanamo open. While trade and security are likely to be top of her agenda in Washington, Mrs May shouldn't shy away from the human rights issues that are already looming large in the first week of the Trump presidency." Former Labour minister Ben Bradshaw says he will not be voting to trigger Article 50 - which begins the UK's exit from the EU - despite his leader Jeremy Corbyn making it a three-line whip issue. Asked if he thought Mrs May should meet US President Donald Trump, Mr Bradshaw added: "It's demeaning that she seems so desperate to be the first foreign leader to meet the most unpopular American president in history, who has just said he supports torture because she's desperate for a trade deal."